Most Pagans (and other polytheistic minority religions) would agree that personal experiences of Deit(ies) are fine when they’re kept to yourself … but what about when they’re not? How do we decide whose divine messages get incorporated into group practice, and whose don’t? How can we trust each other? How did the ancient world handle these issues? This will be a discussion group on how to healthily incorporate personal gnosis into group doctrine. Please come with intent to be courteous and respectful of others’ views; the moderator is a hardass and will not tolerate rudeness. This entry was posted in Saturdays Classes and tagged classes, Gnosis, gods, Raven Kaldera, UPG. Spirit-workers and magicians the world over, and all throughout time, have used a variety of methods to go into altered states. From there, they could access other worlds and touch divine forces. This class will give you a map of the eight roads to that unique place, covering methods of altered states used by all cultures, some more dangerous than others. From the Path of Rhythm to the Path of Sacred Plants to the Path of Meditation to the Ordeal Path, we’ll explore them all. We will not, however, be using these methods in class; this is discussion only. This entry was posted in Saturdays Classes and tagged cultures, drumming, magicians, meditation, methods, ordeal, Plants, Raven Kaldera, rhythm, shaman, Spirit Workers. We have been symbols of the sacred two-in-one for thousands of years. Come hear the ancient stories about us, and rediscover our sacred nature. For transgendered people of all stripes, and anyone who is just interested in more direct ways of spiritually balancing male and female. By the author of “Hermaphrodeities: The Transgender Spirituality Workbook”. This entry was posted in Saturdays Classes and tagged balance, female, Hermaphrodeities, male, nature, Raven Kaldera, sacred, spirituality, stories, symbols, Transgender. Please join Tchipakkan on the New Normal 8 pm Wednesday, 10-5-2-16, 8-9 p.m. est. Raven and Tchipakkan will be talking about the plant spirits, communicating with them, and how this can really help when you are trying to work with plants for healing and magick. There will also be some fun stories- like when Raven was given a hard time by a vegetable. The pagan community is often eager to talk about working with animal spirits, but plant spirits are there, and incredibly eager to work with and help us. This entry was posted in Tuesdays New Normal announcements and tagged Food, healing, herbs, New Normal, plant spirits, Raven Kaldera. Raven Kaldera will be coming! New Classes this year- if you want any of his old ones- contact us! The issue of who can hear the Gods and spirits, and who can’t, is one fraught with pain, anguish, and often accusation, in the Neo-Pagan demographic and throughout history. How do we develop better signal clarity for otherworldly Beings, and how do we tell if what we’re hearing is real or just mental sock puppets? This workshop is a blunt look at what can and can’t be done, and how to improve what you have. By the author of “Talking To The Spirits”. In Northern Tradition shamanism, the voice is the main tool of moving sound. In this workshop we’ll learn about the technique that we call galdr, moving chi with the voice the way that martial artists move it with their bodies. We’ll focus on the healing uses of the runes, and learn to galdr them into each other’s bodies; we’ll also discuss the role of drumbeats, herbal charms, and acupuncture points in this process. You don’t have to be a great singer, but you do have to be willing to open your mouth and make a lot of sound! While one’s choice of what food one chooses to eat is – and should be – a personal choice, there are ways of being omnivorous and utilizing the parts of a dead animal that are highly spiritual, and there are Pagan spiritual paths that support them. Let’s talk about the Hunter, John Barleycorn, and the ancestral contract between our species and our food animals, and whether we are still upholding it. Let’s talk about sacrifice – theirs and ours – and how to make honorable and reverential decisions about wielding Death. Today the oceans are threatened more than ever before in the history of the Earth. We tend to think that the seas are unimportant to us, but the Gods and Goddesses of the Oceans would disagree. In this workshop we’ll explore the ancient Norse deities of the cold northern seas, especially the Nine Sisters who are the daughters of Aegir and Ran, and who have begun to approach modern Pagans once again. Come and discover their magic, their danger, and their beauty – and learn more about the power of the seas, and how you can help. We’ll also have a short ritual to help heal the oceans. We could all use healing in our lives. In ancient times, folk made offerings to healing Gods and Goddesses when they were ill. This practice can still bring amazing results to our lives. In this workshop, we’ll learn about the healing goddesses of the Norse and Germanic peoples and how they can help us today. We’ll concentrate especially on Mengloth and her nine handmaiden/colleagues, each of which is a specialist in some area of health from surgery to pulled muscles to mood disorders. We’ll end with a short ritual for healing of all our bodies and minds. In ancient times, when people wanted something from a deity, they made an offering and asked. Today we are conflicted about whether it’s all right to ask for things, and whether we should pay a price for them, and what kind of a price is appropriate. The art of making offerings, however, can be a beautiful way to be in symbiotic relationship with the Gods. In this workshop we’ll discuss the issue of divine propitiation and share ideas for worthy offerings and what to do with them. 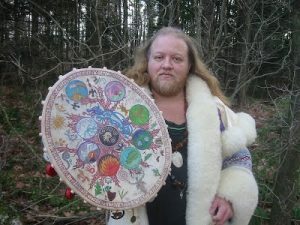 This workshop introduces a shamanic tradition that is being slowly reconstructed by modern practitioners, based on the spiritual paths and tools of Germanic, Norse, and Anglo‑Saxon ancient tribal peoples. We’ll discuss tools and techniques, Gods and spirits, roles and taboos, and the difference between a shaman and a shamanic practitioner. Come learn the shamanic traditions of my ancestors…and perhaps your own. The ancient peoples of northern Europe had a working knowledge of herbs that included not only their medicinal uses, but also partnership with the plant spirits. The early-medieval healer of northern Europe was known as the Leike, and their course of study included this style of hands-on, soul-on herbalism, as well as spells and charms for working with the plant spirits and their patron deities. We’ll explore this form of medicinal and magical herbalism the way our ancestors did. 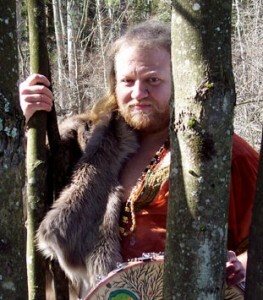 A “Pagan Herbalism 201” class, for those who already have some grounding in herbalism. Both herbs and physical ailments can be divided by the elements, according to energy, taste, and action. This class will discuss how to find the right herb for the job, and how to tell if it will work for the body in question. Derived from old European herbalism and some spirit-taught traditions, this will illuminate herbalism as much more than just a “cookbook” of plants. The Neo-Pagan religion has always been a literary one, changed and driven by books and authors. This means that writers and publishers have a strong effect on the way our religion has been practiced. But Pagan publishing today is in an interesting quandary. Pagan-focused presses are small, and bound by market forces, which means what will sell a whole lot Now, which means Lowest Common Denominator. What are the alternatives? We=ll discuss the growing phenomena of print-on-demand, author=s cooperatives, and other do-it-yourself methods. We=ll also discuss quality control for the aspiring author. How can you get your words out there? Let’s find out. Spirit‑workers and magicians the world over, and all throughout time, have used a variety of methods to go into altered states. From there, they could access other worlds and touch divine forces. This class will give you a map of the eight roads to that unique place, covering methods of altered states used by all cultures, some more dangerous than others. From the Path of Rhythm to the Path of Sacred Plants to the Path of Meditation to the Ordeal Path, we’ll explore them all. We will not, however, be using these methods in class; this is discussion only. An exploration of Pagan theology, including comparisons of different views of the Gods in different traditions. Are you a polytheist (hard or soft), a pantheist, a panentheist, an archetypist, theistic or atheistic? How do the Gods manifest in the world, and make contact with human beings? If you’re not sure what all that means, that’s OK – we’ll explain! This is a workshop with additional moderated discussion; please come prepared to be courteous and respectful. By the author of “Dealing With Deities: Practical Polytheistic Theology”. What are psychic vampires, really? Are there different types? Can anyone become one, or are you born that way? How can you protect yourself, and what do you do if you think you might be one? How does psychic vampirism fit into energy work, and is it good for anything? We’ll discuss the answers to these questions, and more. Please have some familiarity with the concept of “energy work”, or you may be somewhat bewildered. By the author of “The Ethical Psychic Vampire”. Astrology is a tool not only of divination, but of spiritual understanding….but far too often, novice astrologers get swamped and confused by all those abstract symbols, strange jargon, and shallow “cookbook” descriptions. That’s the “scientific” way to learn astrology….this workshop will talk about the shamanic way to learn it, which is all about understanding the myths and stories that the cosmic clock has to tell us, and how to work with them to change your life. By the author of “MythAstrology”. We haven’t yet asked him for these. Ask if you want to see them. This entry was posted in Uncategorized and tagged herbs, Northern Tradition, Raven Kaldera, shaman, Vampire.